Windshield damage from truck rocks or pebbles isn’t rare at all. And you should be prepared to react when it happens. Can I get any compensation? Is it worth filing an insurance claim? 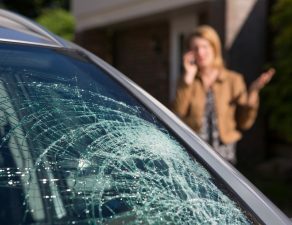 The very first thing you should do if you experience windshield damage from truck debris is putting together as much information and evidence of the event. 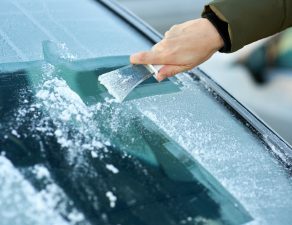 Take some photos of the damaged windshield and write down the details of the incidence: date, time, location, weather conditions. If possible, you should also write down some information about the truck: its license plate and how fast it was going — at least approximately. Most commercial trucks (like semi trucks and dump trucks) have a disclaimer sign that states they aren’t responsible for this sort of incident. However, you can give them a call and try to get direct compensation from them. It’s unlikely, but you might get lucky, especially if you tell them you have video proof of the damage. Dash cams are particularly helpful in this situation. 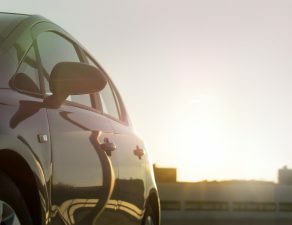 If the company doesn’t want to pay for the damages then you’ll need to move forward to the next alternative: getting your insurance to pay for it. Windshield damage from truck debris isn’t an emergency, so you wouldn’t consider calling 911. But you should file a police report. You’ll need to file a report with a local or state authority, depending on where the incident happened. Here’s where the details and evidence come in handy. Try to include all the photos and information you gathered in the police report. You may think it isn’t relevant or necessary, but it will help you with the insurance claim. Remember to get a copy of the police report before leaving the station. Before getting your windshield fixed after experiencing windshield damage from truck debris, you should contact your insurance provider. Not all insurances have coverage for windshield repair or replacement, so make sure you ask about your situation before formally filing the claim. 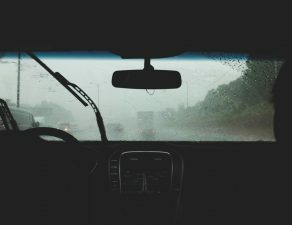 If you have a comprehensive insurance, then you will most likely be covered and the insurance will pay for the windshield repair or replacement. Or they’ll pay for part of it. Don’t forget about the deductible. Before submitting an insurance claim, you should compare the cost of the new windshield with the deductible. If the latter is greater, then the insurance won’t help at all. But how much will it cost to get the windshield fixed? It depends on whether you have your windshield repaired or replaced. There are some cases in which it’s not possible to simply repair windshield damage from truck debris. 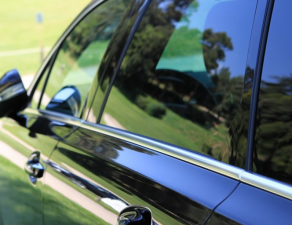 If the damage is too large or it is in the driver’s line of sight, the only alternative is to replace the windshield with a new one. 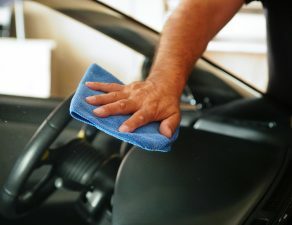 Otherwise, if the windshield damage is just a small chip or crack, it’s up to you to choose whether you want to repair or replace the windshield. Wait until you have your insurance’s response to choose one or the other, and make sure to request quotes for both to compare costs. But where do you request quotes for windshield replacement or repair of windshield damage from truck debris? 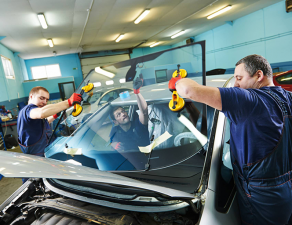 Glass.Net partners with the largest network of independent auto glass shops in the country. 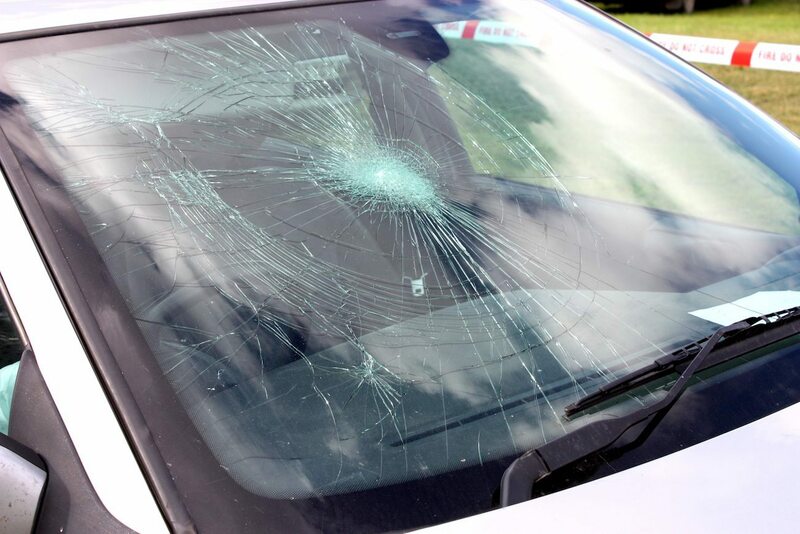 Go to Glass.Net to get free quotes from providers in your area who can fix windshield damage from truck debris. You will then receive quotes from the best insurance-approved local shops for you to choose from. 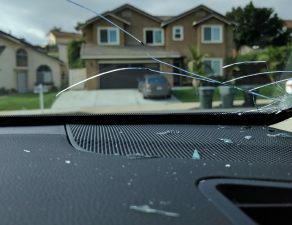 How do you want to proceed after the windshield damage from truck debris? Would you like to get windshield replacement within 24 hours? Would you like to hire a mobile windshield repair shop to fix your car glass while you’re at work? It’s possible! 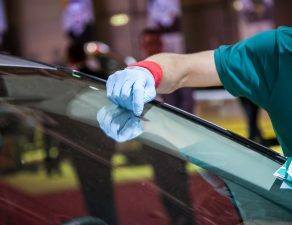 Visit Glass.Net to receive up to 5 quotes from auto glass shops for free.